Norton Rose have acted in the matter where the Federal Court of Australia has handed down a landmark judgment on 5 November 2012 that will have significant implications for financial institutions and those involved with selling, arranging or rating complex financial products. At a high level, the judgment held that such entities may be liable to investors in circumstances where there has been misleading and deceptive conduct or negligent misrepresentations made to investors by such entities, even if there is no direct relationship between the entity (such as a ratings agency) and the investor. In 2009, 13 local councils in New South Wales commenced proceedings in the Federal Court of Australia against Local Government Financial Services Pty Limited (LGFS) for losses allegedly incurred after the councils purchased a complex structured synthetic investment product (a constant proportion debt obligation or CPDO, known as “Rembrandt”) from LGFS, which in turn had purchased Rembrandt from ABN AMRO. Prior to LGFS’s purchase of Rembrandt from ABN AMRO, the product had been assigned an “AAA” rating by Standard and Poor’s (S&P), which LGFS alleged was essential to its purchase (and subsequent marketing) of the product. LGFS and the councils consequently brought claims against S&P and ABN AMRO. The judgment as summarised below is believed to be the first judgment of its kind by a superior court to hold a ratings agency liable to investors for its rating of a financial product. LGFS also succeeded in its claim for indemnity against its insurer, as a consequence of which it was granted indemnity in respect of its liability to the councils. The court found that S&P was liable to both LGFS and the councils as its AAA rating of Rembrandt was misleading and deceptive to the class of potential investors in Australia (which included LGFS and the councils). The court also found that, by the AAA rating, S&P conveyed, first, a representation that in S&P’s opinion the capacity of all financial obligations under the notes to be met was “extremely strong” and, secondly, a representation that S&P had reached this opinion based on reasonable grounds and as the result of an exercise of reasonable care. As the court found on the facts before it that neither representation was true, and that S&P knew that neither was true at the time that the representations were made, the court found that S&P had engaged in misleading and deceptive conduct. The practical implication for ratings agencies from the judgment is that they will need to ensure that in assigning ratings to products they exercise reasonable care and ensure that ratings are assigned on reasonable grounds. The court found that ABN Amro was knowingly concerned in S&P’s misleading and deceptive conduct and that ABN Amro itself engaged in conduct that was misleading and deceptive. ABN Amro was found to have published information or statements that were false in material particulars and which otherwise involved negligent misrepresentations to LGFS and to the class of potential investors with which ABN Amro knew LGFS intended to deal (the councils). The court found that this was by reason of ABN Amro’s use of the AAA rating and its own representations as to the meaning and reliability of the AAA rating which the judge found were not true and which ABN Amro knew not to be true at the time made. The court also found that ABN Amro breached its contract with LGFS under which ABN Amro was to model and structure the transaction by which LGFS would purchase the Rembrandt notes as rated AAA by S&P. The practical implication for financial institutions that structure and sell complex financial products is that they will need to exercise care as to the representations made by their officers and employees regarding ratings assigned to those complex financial products by ratings agencies. Such financial institutions will also need to exercise care to ensure that their officers and employees do not engage in behaviour that could be found to amount to influencing the assignment of ratings by ratings agencies to complex financial products where such assignment is ultimately made in a manner that fails to take reasonable care or fails to ensure that ratings are assigned on reasonable grounds. LGFS was found to be liable to the councils on the basis of engaging in misleading and deceptive conduct in on-selling Rembrandt to the councils and was found to have breached its Australian financial services licence (AFSL) in selling councils the notes (as, despite the notes being structured and rated as a debenture, the judge found the notes were not a debenture but, rather, a derivative under the Corporations Act and therefore not within the parameters of LGFS’s AFSL). LGFS was also found to have breached its fiduciary duty to each of the councils. The practical implication for dealers, managers and other on-sellers of financial products is that they will need to consider whether they need legal advice as to the legal nature of new complex financial products they are proposing to acquire, sell or offer, and whether such products fall within the parameters of their AFSL. Review of their proposed promotional material by internal or external legal counsel to ensure that it is not misleading or deceptive (including by omission) should be included in that process. Such dealers, managers and other on-sellers should also take care to disclose to investors relevant risk factors associated with the products being marketed with the degree of disclosure reflecting whether the products are aimed at wholesale or retail investors. Lastly, dealers, managers and other on-sellers will need to be aware that they may be found to have a fiduciary duty to their investors in certain circumstances where there is an existing relationship and a history of dealing. 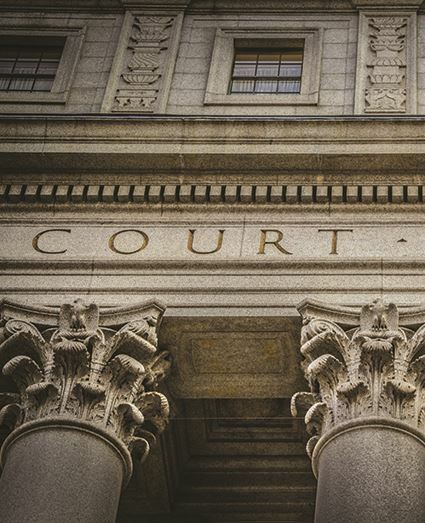 This decision is significant as it is believed to be the first judgment of its kind by a superior court to hold a ratings agency liable to investors for its rating of a financial product. The court has imposed liability in the context of the losses suffered in respect of a complex financial product on the financial institution that structured and marketed the product, the reseller of the product and the ratings agency which rated that product.